Chunky oak top contrasts with the warm champagne finish of the Chatam bed frame beautifully. 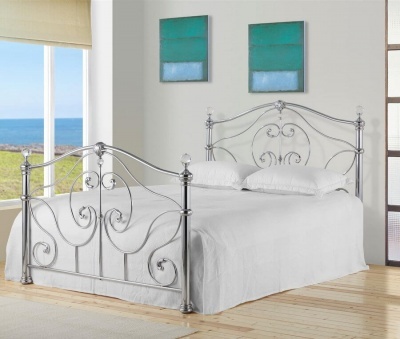 Classic style with tapered legs, slatted headboard and low foot-end. Steel centre support rail for added strength and durability. Constructed from solid oak, oak veneer and pine. 14 solid wood cross bars. Protected with an easy to clean semi-gloss lacquer. Flat packed for self assembly. Qwikfit components for quick and easy self assembly. Part of our collection of oak and painted bedroom furniture.